Update: Microsoft is now rolling out Windows 10 build 16226 for PCs. The update is now available for members in Fast Ring. Earlier today, the company also released Windows 10 Mobile build 15226. Check out what’s new and improved in this build. Ink Notes: Got ink? Add a note and write or draw on it with your pen. To see your note, just hover over the note button—no need to open it. Search for emoji in Emoji Panel: Windows 10 build 16226 updated the hardware keyboard’s new Emoji Panel to now provide a search feature! After opening the panel via the Win + period (.) or semicolon (;) hotkeys, keep typing! The words you type will be used to filter the emoji displayed. If you close the panel by clicking “x” button or pressing Esc, the words will remain. We’re still working on enriching our emoji keywords – have any suggestions? Log feedback! Note: The Emoji Panel is currently only available when the en-us keyboard is active. Dark theme for Emoji Panel: Do you love dark theme? Because we do ????. If you have dark theme enabled (via Settings > Personalization > Colors), you’ll now see the Emoji Panel background display using dark colors instead of light. Shape writing for more languages: In addition to English, Shape writing is now available on the new touch keyboard for the following languages: Catalan (Catalan), Croatian (Croatia), Czech (Czech), Danish (Denmark), Dutch (Netherlands), English (India), English (United States), English (United Kingdom), Finnish (Finland), French (Canada), French (France), French (Switzerland), German (Germany), Greek (Greece), Hebrew(Israel), Hungarian (Hungary), Indonesian (Indonesia), Italian (Italy), Norwegian, Persian (Iran), Polish (Poland), Portuguese (Brazil), Portuguese (Portugal), Romanian (Romania), Russian (Russia), Spanish (Mexico), Spanish (Spain), Swedish (Sweden), Turkish (Turkey), Vietnamese (Vietnam). If you speak any of these languages, please take a moment to try it out and log feedback. If you have anything you can specifically repro consistently, be sure to mention it in the problem report. Moving with ease: Windows Insider team made some adjustments where you no longer need to hold the move icon to move the touch keyboard. We’ve removed that, and now you can just grab anywhere on the candidate pane that doesn’t have predictions, and place the keyboard where you want. Second: when using the one-handed keyboard, you’ll find that the left-most option is now “undocked”. If you use this option, then whenever you relaunch the touch keyboard it will appear back in the location it’d been in before being dismissed. Updated settings flyout: We’ve updated the design of our settings flyout so you can now easily access Language Settings, Keyboard Settings, or help if needed. Fixed an issue where the X to close would turn white on white if you hovered a mouse over it. Fixed an issue where the touch keyboard would stop launching after you had used the Emoji Panel. Adjusted the emoji section so that it now scrolls horizontally. Windows 10 build 16226 added more padding to the emoji section when using the one-handed keyboard. Windows 10 build 16226 added a language key to the one-handed keyboard for easier language switching. The emoji section will now stay open after you input an emoji, so you can enter all the emoji you want at once. Adjusted the size of our wide keyboard layout to be a bit bigger. Fixed an issue where the font would sometimes be an unexpected size when selecting text and seeing it appear in the handwriting panel. Windows Sonic, available in the Windows 10 Creators Update, is now even easier to enable with this update. Plug in a pair of headphones, right-click the sound icon in the notification area, and select Spatial sound to choose your preferred format. You can also configure your 5.1, 7.1, or Dolby Atmos for home theater from this menu if it’s your currently selected default endpoint. New help options: Added a new “Xbox Networking” section under Settings > Gaming. Here, we’ll help you attempt to identify and resolve issues preventing you from using voice chatting and playing multiplayer games with other Xbox Live users. Track your GPU performance: Windows 10 build 16226 has updated the Task Manager which now includes GPU info. The Performance tab shows GPU utilization information for each separate GPU component (such as 3D and Video encode/decode), as well as graphics memory usage stats. The Details tab shows you GPU utilization info for each process. A new look: Added a few new features, team tweaked the design a bit to make everything fit together a bit neater. New Remote Desktop Settings Page: You can now enable Remote Desktop and configure related settings from Settings > System > Remote Desktop! Windows 10 build 16226.1000 improved this page from its counterpart in Control Panel to help you more easily establish a remote connection to your PC from a Remote Desktop client application. On the new Remote Desktop settings page, you can find associated settings like sleep (“Keep my PC awake for connections when it is plugged in”) and PC discoverability to help you know if your PC is remotely accessible. We also surface your PC name on this page, which you will need to connect from the RD client applications. Reveal: The new Reveal Highlight behavior is an interactive visualization that helps guide users. Reveal is now enabled by default on ListView and other XAML collection controls in experiences that target the Fall Creators Update. Added text to the overflow area in the People flyout to make it more clear the people listed there are pinned. Windows 10 build 16226 updated the “Switch apps” button in the People flyout to now use the a hamburger icon, to make it more visually distinct from the back button. If you right-click the taskbar, you’ll now find an option to easily turn on or off People. Fixed an issue from the last flight where the People flyout would crash if you tapped “Find and pin contacts”. Now you’ll find “Currency” as the top item under the “Converters” menu in the Calculator. It does most everything you’d expect from a Currency Converter, all expressed within the fresh and shiny Fluent Design System we rolled out last month. All Home and Professional editions now have the SMB1 server component uninstalled by default. The SMB1 client remains installed. This means you can connect to devices from Windows 10 using SMB1, but nothing can connect to Windows 10 using SMB1. We still recommend you uninstall SM1 if you are not using it. In a later feature update of Windows 10, we may uninstall SMB1 client if we detect that you are not using it. All Enterprise and Education editions have SMB1 totally uninstalled by default. The removal of SMB1 means the removal of the legacy Computer Browser service. The Computer Browser depends exclusively on SMB1 and cannot function without it. If you were impacted by the issue causing your upgrade to get stuck or hung at around 33% trying to update to Build 16215, we fixed the issue and you should be able to upgrade to this build (Build 16226) without getting stuck at 33%. Fixed the issue causing PCs to bugcheck (GSOD) with inaccessible boot device on install, and the Windows Update error 0x80070643 after rollback. Fixed an issue preventing PDFs from opening in Microsoft Edge on some devices with enterprise configurations. Windows 10 build 16226 fixed the issue causing some PDFs and sites to open in a cropped view (zoomed in) in Microsoft Edge, causing part of the content to be inaccessible to the user. Windows 10 Insider Preview build 16226 fixed an issue from the previous flight where accented characters couldn’t be input properly into Win32 apps using the hardware keyboard. Fixed a Hyper-V issue resulting in some Insiders not being able to connect to VMs in the last flight. Fixed an issue resulting in Start now working for a small percent of Insiders on the last flight. Adjusted the application of Fluent Design in Start and Action Center to now be a touch more transparent and let more of the underlying color through. Along the way we also updated the Action Center to use the newer conscientious XAML scrollbar design. Fixed an issue where notifications in the Action Center lost their outline if acrylic fell back to having no transparency, for example on battery saver. We also fixed an issue where the Action Center background might become 100% transparent. Fixed an issue from the previous flight wherein you couldn’t expand notifications displayed in the Action Center. Fixed an issue resulting in some inbox apps unexpectedly appearing to be missing after upgrading to 16215 (although Store said they were installed). Snipping tool is now natively per-monitor DPI aware! That means it should no longer be blurry when used in mixed DPI environments, or when changing DPI. We’ve gone through all our image resource files and removed unneeded XMP metadata. Fixed an issue where some of the older control panel dialogs were unexpectedly showing grey sections instead of white. Fixed an issue from recent flights where selecting “Restart” in the power options list with a pending update had the same effect as “Restart and Update”. When you right-click the network icon in the system tray, “Open Network and Sharing Center” will now open Network & Internet Settings. Windows 10 build 16226 fixed an issue where the Start Fresh page was included in Microsoft Edge’s recovery store, leading to potentially multiple Start Fresh pages being visible in each window after Microsoft Edge was reopened. Windows 10 build 16226 fixed an issue where the red heart emoji was displayed in superscript. Fixed an issue resulting in ink lag and short ink strokes not being detected in recent flights. Fixed an issue where there was an unexpected Microsoft Text Input Application visible in Start after using the touch keyboard. Fixed an issue from the last flight where Chinese IMEs would hang when typing into Cortana. We also fixed an issue that generally could make the Chinese IMEs hang when typing on the last flight. Fixed an issue for some input methods in the last flight resulting in certain apps crashing if you switched to that input method while the app had focus. Fixed an issue where Cortana’s search box could end up in the wrong place if you set focus to it then brought up the Emoji Panel. Updated the casing of the Settings category “Update & security” to now be “Update & Security” based on your feedback. We also fixed an issue from the last flight where it might hang when you tried to open this category. Fixed an issue where the OS Build Info link on Windows Update Settings didn’t do anything when clicked. Fixed an issue resulting in the top border of UWP apps sometimes being an unexpected color. Fixed an issue where our mini-surveys (we call SIUFs) weren’t popping after the computer had been locked and unlocked. Fixed an issue where any external monitor connected to a DisplayLink dock wasn’t working and you’d just see a static logon screen. Fixed an issue due to a driver issue where Wi-Fi wasn’t working on certain devices like the Surface Pro 1 and Surface Pro 2 and some USB devices. Fixed an issue where printing wasn’t working due to having multiple copies of each printer after upgrading. If you have the .NET 3.5 Framework installed, updating to this build may fail and roll back to the previous build. As a workaround, uninstall .NET 3.5 before trying to update to this build and then reinstall .NET 3.5 after you update to this build. For more info, see this forum post. Auto-complete in URL bar of Microsoft Edge may fail on some devices, searching for a partial string instead of the autocompleted text picture. This issue will be fixed in an upcoming flight. Word 2016 will crash if you try to ink on it. We’re investigating your reports that the battery status on certain laptops isn’t updating while the device is unplugged. Microsoft Windows 10 build 16226 ISO files will be available later on our website. Check back for Windows 10 build 16226 ISO Download links. Original Story: Microsoft is now testing Windows 10 build 16226 for PCs. 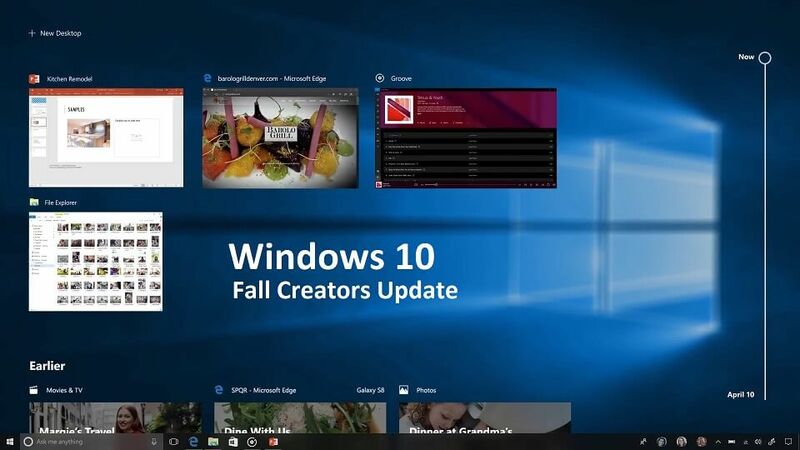 The new Windows 10 Fall Creators Update build 10.0.16226.1000 (rs_prerelease.170616-2021) was compiled on June 16, 2017. Windows Insider team is also testing Windows Mobile build 15226.0 (feature2.170615-1751). According to the Windows Insider team head Dona Sarkar, fast ring Insider members can expect new Insider preview build on Wednesday or Thursday. The Windows Insider team is not releasing any new build on this Monday and Tuesday. Update : Microsoft Windows 10 build 16226 ISO image files are now available for download. Get them from the link below. my friends. I’m conident they will be benefited from this web site. Than you a lot for sharing this with all of us you really know what you are speaking about! Bookmarked. Please also consult with myy website =).